The Fault in our Stars by John Green Page 176. Monday Musing is a meme hosted by Should Be Reading. Check out their blog! 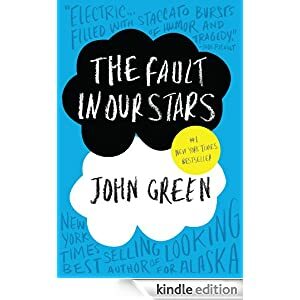 This entry was posted in Teaser Tuesdays and tagged Authors, John Green, Teaser Tuesday, the fault in our stars. Bookmark the permalink. I’ve seen this one a lot recently — nice teaser. Nice teaser! It makes me want to read the book even more now 🙂 Thanks for stopping by my Teaser Tuesday post!